We are a leading Exporter of Indulekha Bhringa Hair Oil from Ernakulam, India. Indulekha bringha hair oil is a blend of ayurvedic ingredients and virgin coconut oil. The vitamins and fatty acids contained in this mixture helps to nourish your scalp and hair. 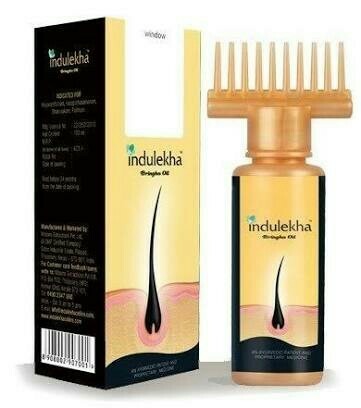 So, use indulekha hair oil as a natural way to help you hair grow thicker, longer and faster.